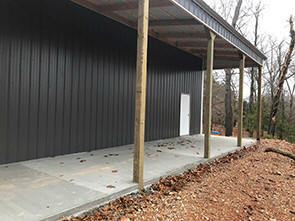 Lean-To's are economical and create much welcomed protection from Arkansas's sun and rain. After 26 years of building buildings a few things have come clear. Human beings and hound dogs love lean-to's. Lean-to's can come off all four sides. They can come with a dirt floor, a finely graded gravel floor or a concrete floor. When pouring a concrete floor for a lean-to we typically give it a broom finish for outdoor traction. There are three choices with lean-to's. 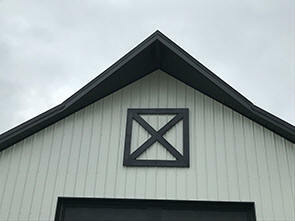 Classic American Farm is where the high side of the lean-to starts at the main buildings drip edge. The lean-to has a lower roof pitch than the main building. Monitor Style is where the lean-to starts a couple of feet lower than the main buildings drip edge. Some people refer to this as a Kentucky horse barn. This style is distinct. Nuevo Style is where the lean-to keeps the same height and roof pitch of the main building. Inset Bay is engineering speak for a roof overhang coming off the end of a building that keeps the same roofline. Inset Bays were popular with service stations of the 1920's. Today they are economical and very useful. Like a lean-to they give protection from sun and rain but are different. Overhangs are probably the most dramatic addition a customer can add. The building instantly looks more expensive than what it cost to build. Overhangs give a more residential look. Wainscot has been dressing up buildings since the 17th century. Wainscot is available in metal panels of a different color. Wainscot comes with a special trim that directs water to the outside of the building. (where it belongs) It is also available in brick or stone, cultured or real. We are fortunate enough to have a bricklayer with over 30 years of experience work for us. We usually can match your homes existing brick or rock work. By using the exact same brick or rock wainscot as your home, it instantly makes your new building belong. 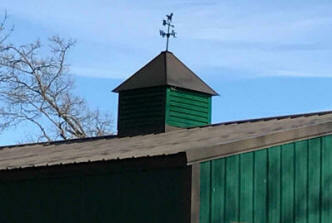 Cupolas add character. If you want for your building to stand out from the crowd, a cupola will do it. Available in different sizes to match the proportions of your building. They come in maintenance free metal or glass. Past customers have put lights inside their glass cupola's to add a touch of whimsy. Flying Gables are alive and well in the Ozarks. 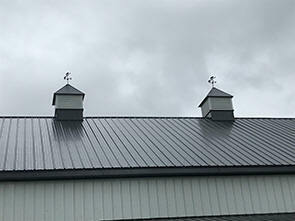 Flying Gables are economical and create a instant classic. Guaranteed to be a conversation starter with your friends and neighbors. Sliding Doors tells the world that this is a horse barn. The old fashion sliding door still plays a part in this modern world. Any horse owner can tell you why they want a sliding door instead of a overhead. Dutch Doors just about seem standard for a fancy horse barn. Built strong enough to hold up to a draft horse these are the real McCoy. 5" x 5" post are used for the door jambs. Typically these Dutch Doors raise the self esteem of any breed. Walk doors are available in 3', 4' and 6' wide versions. If you leave it up to us, we will install it right hand out for security. If you want for it to swing in like in a typical home we will do it and we will even accommodate the lefties. French Doors are not often equated with metal buildings. However most people would be surprised at how many we have installed over the years. They let in a lot of natural light and really class up a building. Windows made right here in Arkansas come in many sizes. The 3030 size in white are the bargain of the group. 3030 stands for 3 feet 0 inches wide X 3 feet 0 inches tall. They are available in lots of different sizes and colors. Best of all we know how to install them so they don't leak. We don't use the old simple "J" trim around our windows. Just about all windows with "J" trim will leak during their lifespan. We use a system that was pioneered by one of the real expensive national brands. It is a much better way of trimming out windows on these metal buildings. Attic Trusses are economical and give the customer the opportunity to create a old fashioned attic in their new building. Just to clarify the attic truss is not a attic. It is just a truss that has been engineered to create a attic. Most customers create their own attic by laying down the deck themselves. The big indoor lumber yards carry the fold down stairs that most customers install for the access. Scissor Trusses are used in a building to create a cathedral ceiling effect. Scissor Trusses give more interior height in the center of a building. A scissor truss can be used to create a dramatic interior if being finished out. A scissor truss can also be used to lower the overall height of a building and still get a big door in the end of it. This often comes into play when you don't want the building to overwhelm the customer's home. Gambrel Roofs are ancient and first appeared in America in the 1774 Boston Carpenters price book. By having two different roof pitches on the same roof makes the gambrel stand alone. Gambrel Roofs are available in standard trusses, attic trusses and even scissor trusses. Insulation is standard with Ozark Metal Building. We feel so strongly about this the customer will have to make a special request to have it removed from a quote. Any enclosure will sweat once there is a temperature difference between inside and outside more than 25 degrees. Insulating these metal buildings stops that. If a metal building is not insulated the sweating(water dripping from the ceiling) is inconvenient in the short term and a real problem in the long term. Sweating will shorten the lifespan of a building. 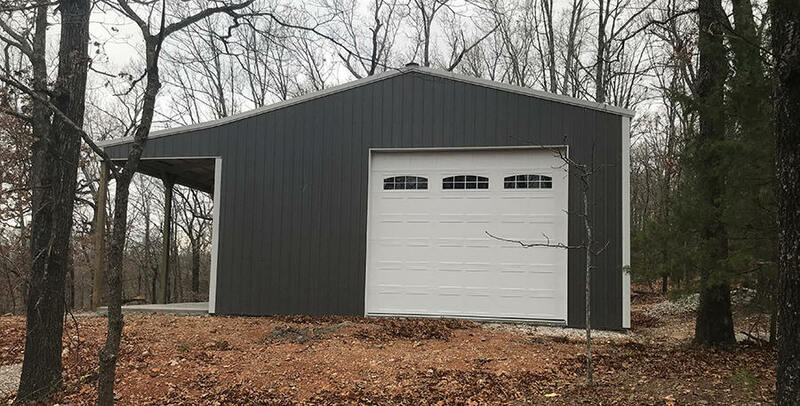 Ozark Metal Buildings is in business for the long term. We do not want to build something today that becomes a legacy cost in the future. Building Codes vary from state to state, county to county and city to city. 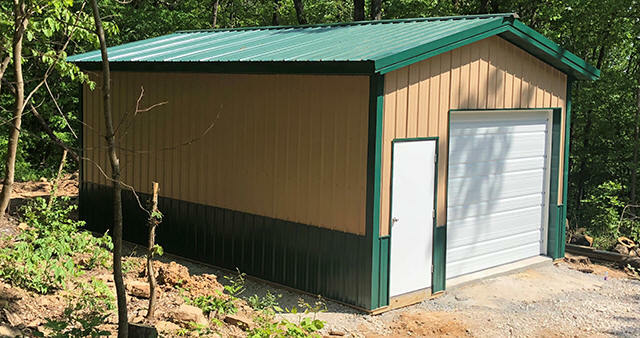 Permits - Ozark Metal Buildings usually pulls the permits for the customer if it is standard. We pull it and the customer pays for it. Non Standard Permits - Some customers need a variance in order to get a permit. 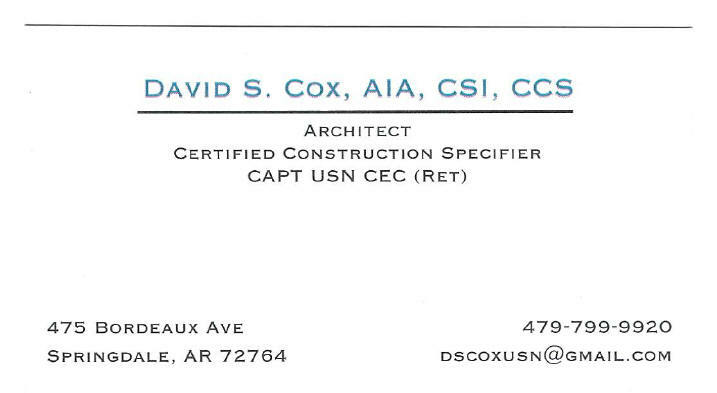 Ozark Metal Buildings will advise and attempt to pull a non standard permit. Please understand that securing a building permit is not guaranteed. If you have ordered a building and we cannot pull the permit we will give you your money back. Large Scale Development - If your project falls into Large Scale Development we can help with that. By working with building officials, architects, engineers and fire marshals we can push as hard as anybody else can push. Please understand that LSD takes time and money. Call the office for a consultation and fee schedule. Termite pre-treatment is mandatory for a wood framed building in Benton county and a good idea everywhere else. We include the termite pre-treatment on all of our jobs for free. If you have an existing termite contract with your home you can use the same company at your expense. We will alert you to when they need to hit the jobsite so it is seamless. Ozark Metal Buildings practices performance pay points. When you place a order with us we ask for a deposit. This initial deposit is the only time you actually have to trust us. Every other pay point comes after we have finished a portion of your building project. Typically we ask for a partial payment after the dirt work is complete. (if needed) Typically we ask for a partial payment after the building kit has been delivered to your jobsite. We then typically ask for a partial payment after the concrete floor has been finished. Typically we ask for a partial payment after the trusses are standing. We usually ask for the last partial payment after the walk around. The walk around is for the customer's security. A walk around is where the customer and a representative of Ozark Metal Buildings goes through that building making sure everything promised has been completed. We make sure the windows work, make sure the overhead doors seal up, make sure the trim looks strait. By not getting paid the last portion until the punch list has been punched ensures the customers satisfaction. This is the best way a customer can make sure his or her building has been completed. A walk around is not to renegotiate the price of the building nor is not intended to extract a pound of flesh. We are reasonable people and ask the same from our customers. Foundation vs Floating slab. It is common for any kind of cement floor to be called a foundation. That is not always correct. OMB wants for it's customers to know what they are getting for their money and for there not to be any confusion. 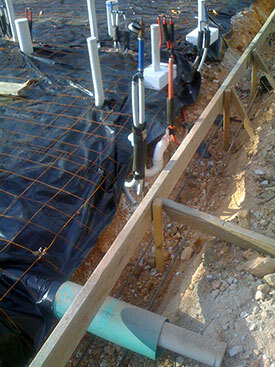 A foundation includes a footer that goes below frost depth. Here in the Ozarks our frost depth usually runs 16" to 18" deep. By getting the footer down below the frost depth, it eliminates the heave from frost in the ground. This stops the floor from moving up and down between winter and summer. Having a real foundation is required inside some city limits if you want to add a bathroom. It is not required in Benton, Madison, Carroll, Washington, Delaware or McDonald counties. However it could be a requirement depending on what city the building will be built in. A foundation can be used with a Stick Frame Metal Building, a Red Iron Metal Building or a Simple Home. Floating Slab. A floating slab is not a foundation. A floating slab does not have the footer. A floating slab moves up and down about 3/8 of a inch between summer and winter. This movement comes from moisture in the ground freezing and causing heave. Don't let this brutal description scare you away from a floating slab. To put it in perspective about 60 million homes in America are built on floating slabs. They work just fine. We just want for our customer to know what they are getting for their money. A floating slab is used in Post Frame Metal Buildings. 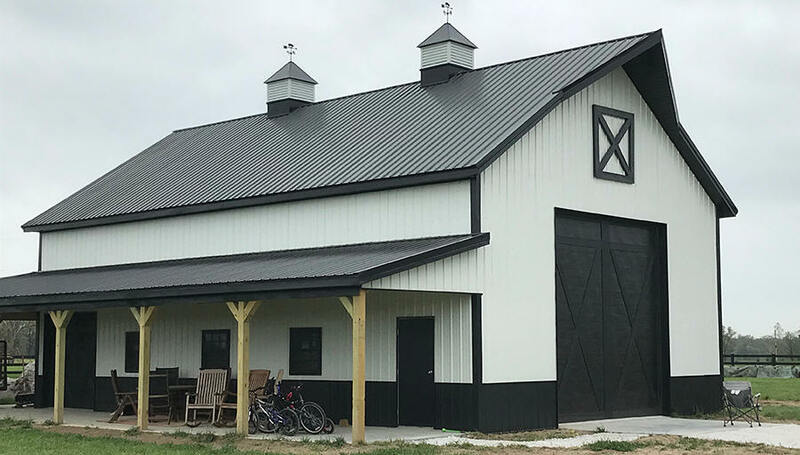 (Pole Barns) A Post Frame Metal Building does in fact have a foundation, it is the big wooden post going three feet in the ground. This simple but effective design is what makes a Post Frame Metal Building so economical. This small movement is imperceptible to the average user and does not affect the utility of the building in any way. Floating Slab with thickened edge. 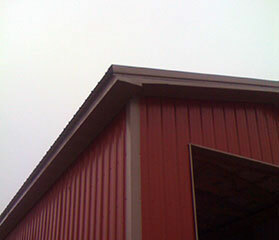 A floating slab with a thickened edge around the perimeter is used on Stick Frame Metal Buildings. Being that the outside perimeter walls are load bearing on a Stick Frame Metal Building we give the slab extra concrete and add in re bar around the outside perimeter. Though this is not absolutely necessary, and some other companies do not add this, OMB is in the business for the long run. It is so much less expensive to build a building right the first time, than to try and repair it later. Concrete Block Wall Foundations are commonly used when building on the steep terrain around Beaver Lake. Go ahead and point to a steep hillside covered with trees, OMB can place your building where you want. Once a hillside is over about 15% grade a traditional red dirt pad no longer works. To combat this we excavate a trench footing that contours to the slope. We make it contour by adding in steps. This step footing will include the appropriate amount of re bar held in the proper position using chairs. This step footing will also include re bar uprights going into the blocks. We then block up. Typically every seven layers of blocks get a bond beam. A bond beam is a continuous layer of block that has re bar ran through it horizontally. This adds additional strength. Depending on the size and height the foundation may get a dead man anchor. A dead man anchor is a glorified blob of concrete inside the foundation that we use to pin to the bond beam. At the top of the block wall we use what is called "L" blocks. L blocks are used to hair pin the top of the block wall to the interior of the concrete floor. Each block will have re bar ran through it vertically. All blocks are core filled with a special concrete slurry to add strength. The interior of the block wall foundation is back filled with rock. This description is typical of a concrete block wall foundation. This may seem like over kill by some, however it is the only way to be sure that the foundation does not become a liability in the future. Concrete Block Wall Foundations are used for Stick Frame Metal Buildings, Red Iron Metal Buildings and Simple Homes. Here at Ozark Metal Buildings we understand concrete. If the sun is shinning, or if it is cloudy. Summer vs Winter pours. Whether air needs to be added because it will be a driveway or none for a buildings floor. If we need to put a sprinkler on it to cool it down or if we need to put straw on it to insulate it so it sets up. Whether or not to add Calcium, and if so one or two percent solution. Hot water to be added at the last minute or none. Keeping the control joint sections small enough. Timing the saw joints so the saw doesn't rip out the rocks because it is still too green and not too cured that it already has a mind of it's own. The distance between the batch plant and the job site also has to be accounted for. If the air temperature is rising or falling. Humidity and the cure time. Lots of calculations go into getting the customer a nice floor finish that he or she will be proud of. When pouring concrete nothing is a substitute for experience. In the past we have had great results. However there is still a chance that the concrete could crack outside the control joints. If it does happen there is no structural damage, it does not weaken the floor. It's just not as pretty as it could have been. We will give a sincere apology but no money back. We take all known precautions and follow the same formula that has worked in the past. We want our customers to know that we are striving behind the scenes to get the best results possible. 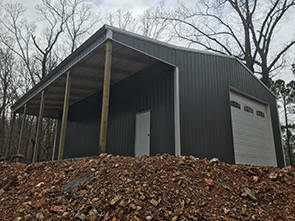 Ozark Metal Buildings is locally owned and operated. We are a debt free company. We are proud of the buildings we build. We strive to make every customer happy with their purchase. This leads to repeat and referral business. Financing is available through a third party. If you plan to build a residential building over 2000 square feet you may be required to have an architect prepare drawings to get a building permit. We recommend David Cox. "I think a lot of architects don’t understand that most clients want a building that is affordable and meets their needs. I prefer to focus on those areas rather than spending their money trying to impress others with how clever a designer I am. David Cox"